A terrific Japanese Single Grain whisky from Suntory. For a long time, this whisky was only available in Japan. 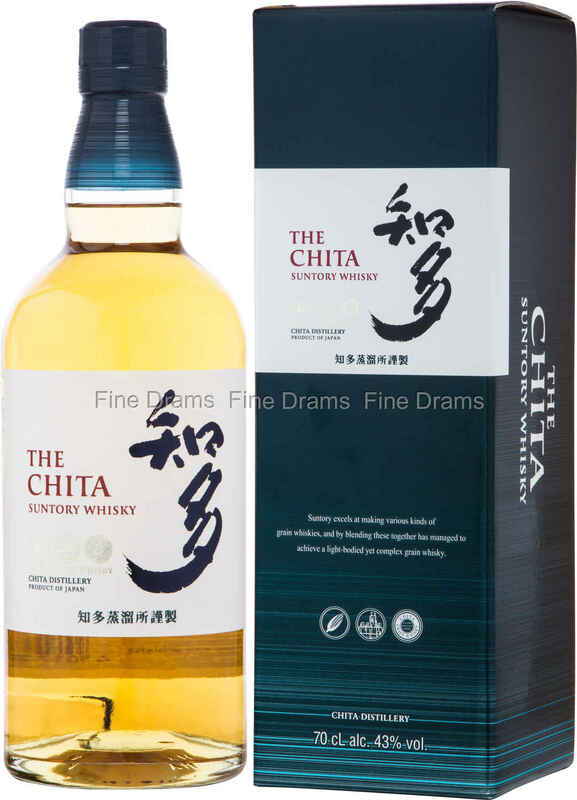 This is a typically delicate single grain whisky, produced at the titular Chita distillery, first established in 1972 and found in the southern central part of Honshū. The spirit forms a key part of Suntory’s blends. This flagship expression of the distillery has been aged in mixture of Sherry, Bourbon and wine casks, which gives the spirit a little more complexity than the average grain whisky. The whisky is rich with honey, floral notes and vanilla flavours. Bottled at 43% ABV, this allows the creamy mouthfeel of this dram to take hold.